The Women in Science and Engineering (WISE) campaign has revealed that the latest data shows over 900,000 women are currently in core science, technology, engineering and maths (STEM) occupations – meaning its on track to reach one million by 2020. Despite still falling 92,000 below the target, a further 200,000 young women said to be currently studying STEM subjects will reach working age within the next two years and help achieve the figure. 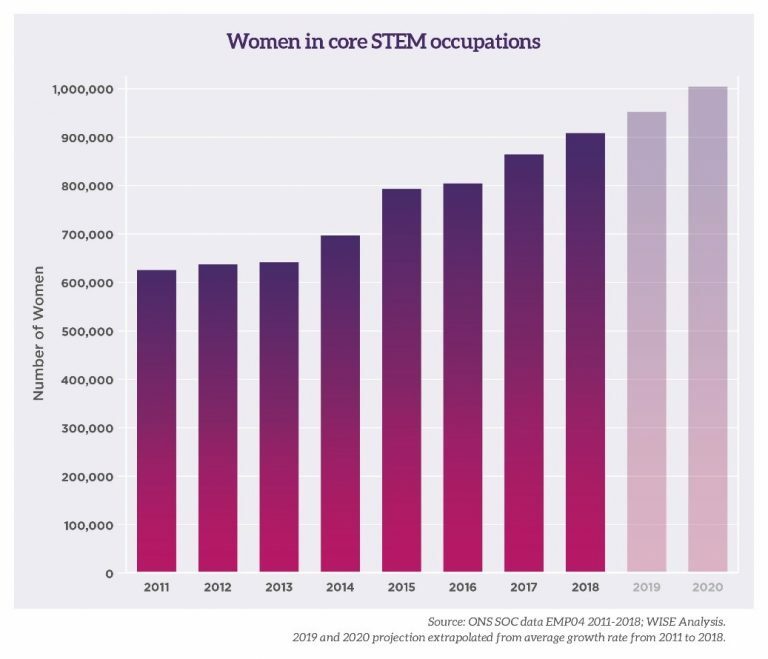 However, a word of warning has been issued with the year-on-year increase dropping below 5% for the first time in eight years leading those behind the campaign to say a “real push” is needed to reach the goal of one million women in core STEM jobs. Although, the sector is described as fast growing, with overall core STEM employment increasing from 2017 by 6.3%, - more than six times that of employment overall in the UK. An increase of 44,040 women since 2017 has for the first time taken the number of women over 900,000. But with just under 200,000 additional men reversing 2017’s decline, there was a 0.3% drop in the percentage of women in the core STEM workforce and growth for women is 1% lower than the growth percentage for men. The data was revealed at the WISE Awards where presenter of the awards and patron, Princess Anne, said that if employers managed to recruit half of the 200,000 young women qualified to do STEM jobs, the UK could have one million women working in STEM by 2020. Commenting on the 2020 target, WISE chief executive Helen Wollaston said UK employers needed to step up and do more and follow examples set by the campaign’s award winners.